Sam Smith took the first trophy of the 57th Annual Grammy Awards tonight, winning the highly-coveted award for best new artist. This year's early show included great one-liners and a handful of performances. Madonna, Sia, Kanye West, Beyonce and Ed Sheeran put in spectacular performances. 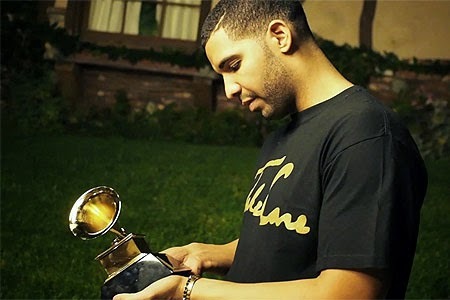 Canadian rap god, Drake failed to snitch any of the three awards he is being nominated for. May be he already made up for it. Back in October, long before awards season, Drake decided to liven up one weekend by hosting his own "Hood Grammys" on Instagram, handing out virtual gongs and the all-powerful Drake co-sign to the likes of Rae Sremmurd, Bobby Shmurda, and iLoveMakonnen. He prefaced his awards with a brief speech, in the form of a caption: "haaaaa Grammys need to have a rap year. Run it up. "Stay With Me (Darkchild Version)""All About That Bass"